We blinked and we are already a few days into February! We don't hate it though. That gets us all sorts of excited because we are one month closer to Summer, and we heard over the weekend that a certain fury little fellow Georgian didn't see his shadow. Goodbye polar vortex. Hello sunshine! Our favorite cut-off shorts and flip flops are on stand by. These first few days of February have been filled with a whirlwind of activities. We are still recovering from last night's Super Bowl game. This Monday morning had us hitting snooze on repeat and reaching for a double shot of caffeine multiple times today. 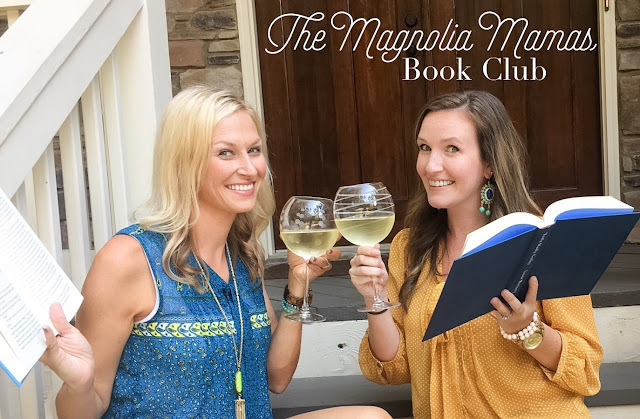 Good thing today is Book Club day because we are soooo ready to snuggle in our coziest pjs with a glass of wine and a good book. I didn't get through as many books this month as I usually do, but I think that is because the ones I listened this month were a little longer. That or I'm obsessed with listening to the A Star Is Born soundtrack so that was taking up some of my listening time this month. 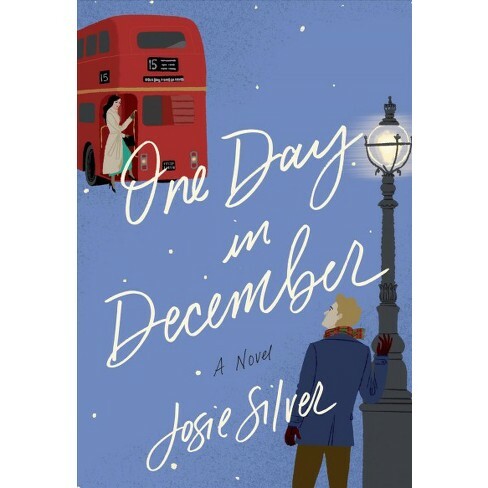 First I listened to One Day in December by Josie Silver. I really loved this story. It was about two people who fell in love at first sight, but never actually got to meet because one was on a bus. It follows both characters, their unfortunately chance meeting at a much later date, and then shares how they become close friends, but not romantically involved. The entire time I was rooting for these two to become a couple and love each other the way I knew they did. It took a little longer than I thought needed to get to the end of this story, but it ended on a happy note, so I was fine to keep listening. I just thought it could have been done a little quicker. I always know that when I read a Colleen Hoover book I won't be disappointed. Some are better than others and often times the stories are pretty similar, but I don't complain because she never lets me down. 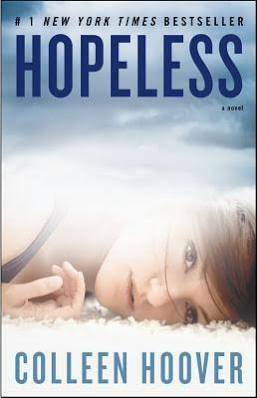 Hopeless was about a girl who was adopted at a young age and now lives with her over protective adoptive mother. She has always been homeschooled, but ends up going to public school for her senior year of high school. There she meets a boy who she later learns is connected to her past. There are some very disturbing facts about her past that led her to be adopted and Hoover shows how the characters work together to work past those dark days to help one another heal. It wasn't my favorite Hoover book, but I still enjoyed it! You might remember that my very favorite book from last year was by Ryan's Bed by Tijan. I loved it and it made me SO emotional so I keep listening to Tijan books wanting to have that same feeling. 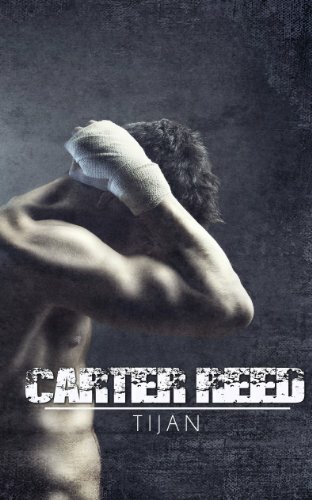 Carter Reed defiantly had me hooked from the first chapter. It's about a girl who commits a crime and goes to her childhood friend for help. That friend happens to be in the mob and ultimately takes her in to help protect her. Their undeniable attraction for each other becomes the focus of the rest of the story. Learning some of the ins and outs of the family mob business was interesting and the love story kept me listening, but this book didn't compare to Ryan's Bed in my opinion. To kick off the new year I snuck in some major reading! A few of these I started at the very end of 2018, but I was glad to say I found the time to finish them and then some. A few of the reads this month were hits and a few were duds. One I think I have drastically different opinions than others on, but in February I'm hoping to find something I can really love - bring on the suggestions!!! 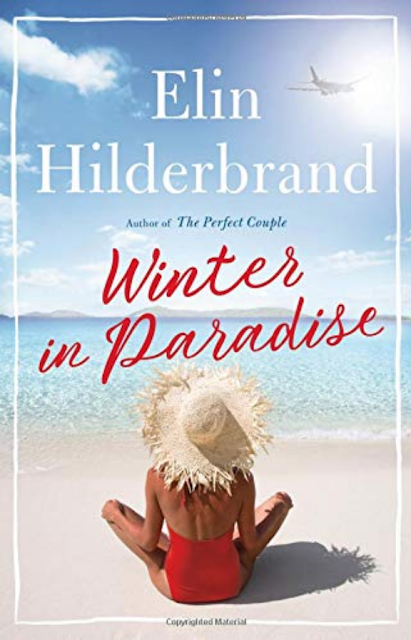 First up was Winter in Paradise by Elin Hilderbrand. She's one of my go-to authors, and just look at the cover. Doesn't it make you want to whisk away to a beach right this second? This is the first book in a series and it's a doozy. Irene and her husband spend at least half the month apart because of his job. As she's ringing in the New Year with her best friend she learns her husband has been in an accident. In St. John. From here the story spirals into a "what happened? ", "why was he there?" and enough tropical references that if the cover didn't make you want to hop on a plane to paradise the story will. I feel like this one has gotten mixed reviews, but I really enjoyed the story and can't wait to find out what happens next! 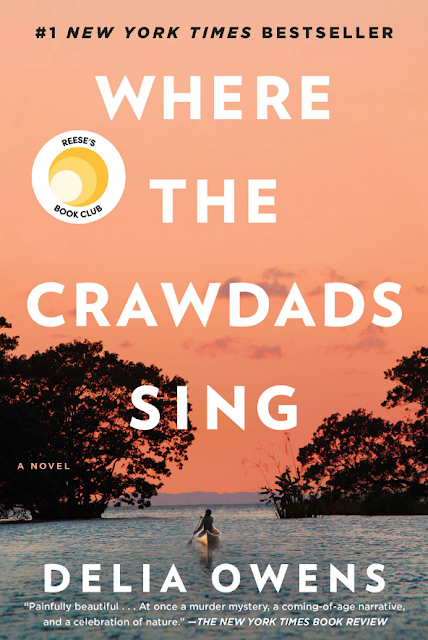 At the same time I was reading Winter in Paradise I was listening to Where the Crawdads Sing. Hmmm...okay, I stated in last month's book club that I was having a hard time getting into this one. Many of you said to stick with it and that it is one of the best books they've read in awhile. I might get a million messages about this, but I still wasn't a fan. I think it was a beautiful story, and really enjoyed the main character and the love story, but several parts of it dragged on for me. I also don't know if listening to it made me knock it down a few points. The language of the book was self-described as "Magnolia Mouth". The narrator did a great job of reading it, but that twang had me cringing sometimes. As well as the main character would think in a normal voice and speak with the drawl and I just wasn't a fan. There were also a ton of nature references. Like a ton. For example I now know an in depth account of the mating habits of Praying Mantises. With that said, its a little bit of a romance, mystery, history, and coming of age story all rolled into one. I'm the outlier in my review of this book so if you've heard great things - go for it! It just wasn't my cup of tea. To follow that up I dug up from my pile of "to-read" books on my growing book shelf and came up with The Man You'll Marry. I love Debbie Macomber novels and after Where the Crawdads Sing I was seeking something a little fluffier. Well, fluffier was what I got. It also wasn't my favorite. It's actually two mini books in one. The second story I liked a little bit better. I think the stories just need a little "more". They follow two best friends who are unmarried. 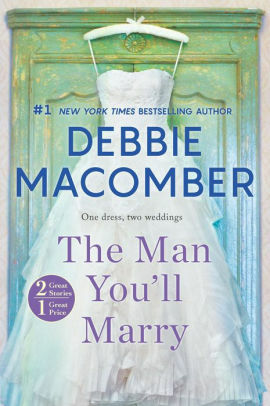 A distant aunt sends one friend her lucky wedding dress with a note stating, "Now that you own this dress, you'll marry the next man you meet." The stories evolve from there. I don't want to give too much away, but if you are looking for a lighter (and slightly farfetched) read, then grab this one! 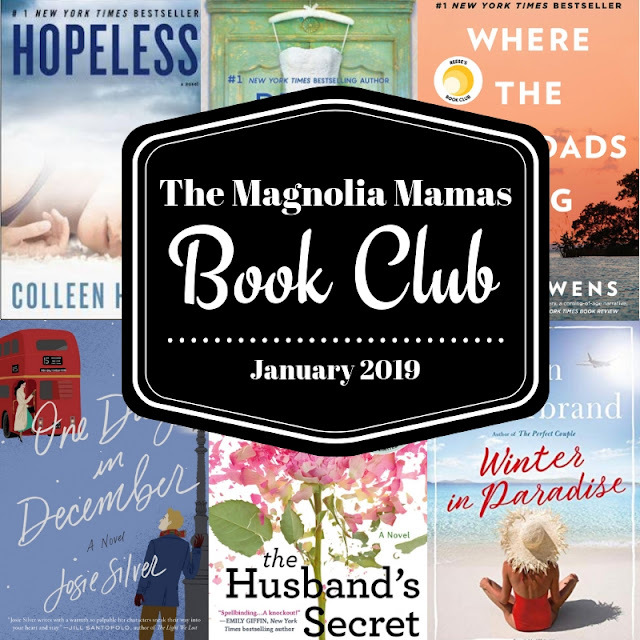 Last up for the month was The Husband's Secret by Liane Moriarty. I've had this book forever! I love Moriarty's novels so I don't know why I waited so long. This might be one of my favorites of hers though! I love how she weaves a story with so many characters and somehow links them together in the end. Cecilia has the perfect life, and is by all means "super-mom". Until one day she reads a letter her husband wrote her. She wasn't supposed to read it until after he died, but she couldn't help herself. From there the story spins and weaves with kind of a shocking end. I don't want to give any details away even though I'm probably the last person on earth to read this, but just in case. And if you're one of the few - go grab it! 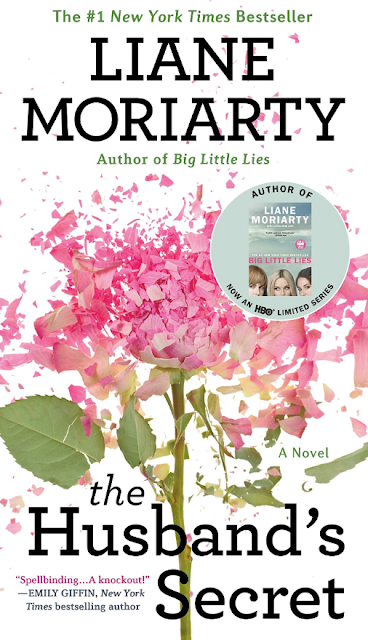 I actually started listening The Husband's Secret by Liane Moriarty months ago, but stopped it in the middle and went on to read something else because it was taking too much for me to get into it. Too many characters and I found it hard to follow. Remember when I said I don't like to think when I "read" a book...just feel? Well this one was making me think to much, but I decided that since Jen liked it I'm going to give it another try and pick back up where I left off last time. One of the many good things about spending multiple hours a week at the kids' sports practices is that sometimes you come across some fellow car pool warriors that you get along with and have similar interests. 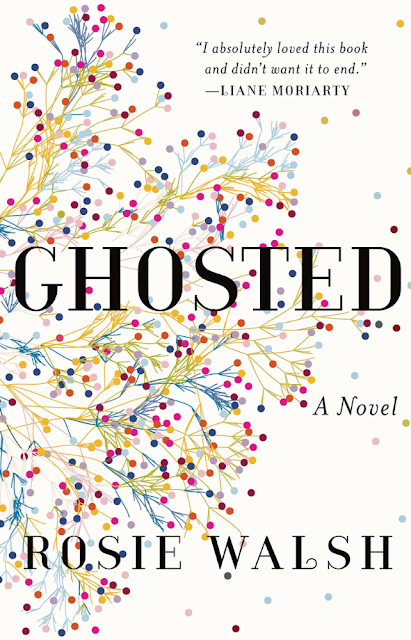 One mom and I have come to exchange books to read when we come across good ones and upon our last exchange she gave me Ghosted. Anything else we should add to our lists this month? What have you been loving lately?